Google adsense is so far the most preferred way to monetize websites, mobile apps, games, videos etc. It is reliable, robust and full of ads. The fill rate is very close to 100% that you will never see an ad space empty ever. However, though there will always be ads in your ad placements, it is required to regularly monitor and manage the ads to keep the revenue flow upwards. In the last post, we learnt about 5 Best Ad Positions to Increase Adsense Revenue. In this post, we will learn about 5 Easy to Follow Ad Management Tips to Increase Adsense Revenue. Adsense provides ads from various categories; such as computer technology, fashion, lifestyle, law etc. But most probably you don't publish contents from all of these categories. For example, I write article mostly about CSE Class notes, Computer Programming, Adsense etc. So If I show ads from fashion or law then those ads not going to get clicks very often. Its because my readers are here to read and know about computer programming, class notes etc. So relevant ads are helpful because those are what your readers are interested in mostly. Adsense is a contextual ads provider so it will obviously provide ads based on your content but it will also show non-contextual ads from other categories sometimes. 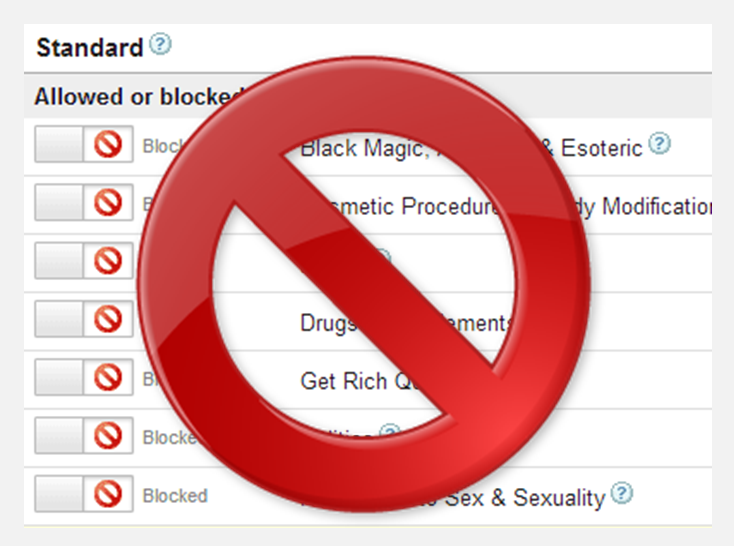 But adsense provides you the option to block at most 50 ad categories. So you can easily block ad categories which are inappropriate to your contents. 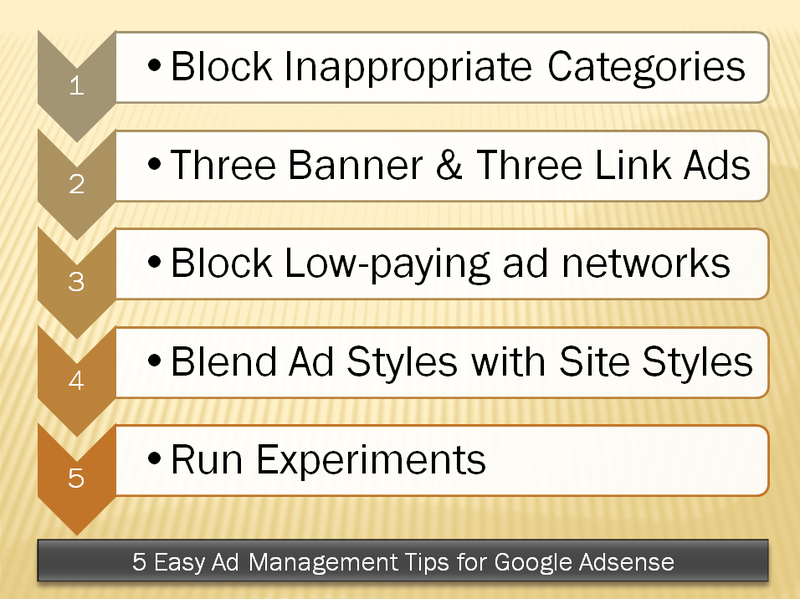 Read More: How to block specific ads and ad categories in google adsense? Don't be upset by seeing less clicks on your ad units so early and take the wrong step of using more and more ad units on a page. There is no benefit at all. Rather you should follow and maintain the adsense guideline of using 3 banner and 3 link ad units on a single page at most. What is your benefit? Well as google adsense is a contextual ad unit, it will find and display most relevant ads if you have 3 banner ads on a page. If you have more then adsense will fill those units with irrelevant ads from irrelevant categories. And as being said in point 1, irrelevant ads make no sense. 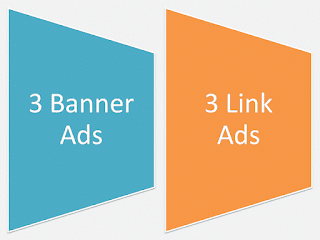 Adsense show ads from many ad networks. Not all of these ad networks are of same quality on case of CPC or CPM. Some of the ad networks might providing you most of the ads but of low CPC or CPM. Then this is directly a bad idea to keep publishing ads from those ad networks, right? 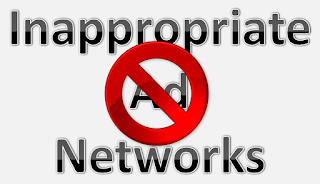 Rather we can block those ad networks so that adsense provide us ads from high paying ad networks. However finding low or high paying ad networks for your website is a bit tricky. Follow the following tutorial on how you can do that. 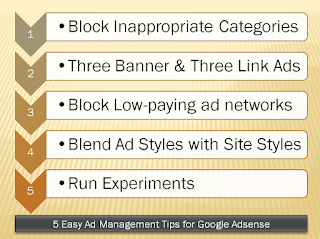 Read More: How to find and block low-paying ad networks in google adsense? Well this ad tuning is really great. Adsense says that do not display ads misleadingly that the user confuses the ad with a content of the page. However, adsense itself provide some tweaking options that you can use change the styles of your ads (link and text ads) so that they blend with the content and styles of your website. This is so awesome. Follow the following tutorial to find out how you can do that. 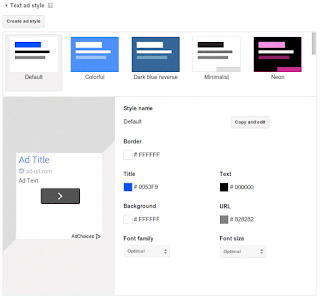 Read More: How to Customize Ad Styles to Increase Adsense Revenue? After all these things you are doing with your ads, one thing is really very important which is Experiment. Someone can rarely say which tips will go best with your website. So it is better to experiment with it. 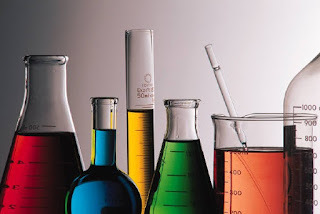 You can do this two way, you can do your own experiments or you can use the experiment option provided by google adsense. You can do experiment like using a horizontal ad in the place of a square ad for a week and see which one generating better revenue etc. 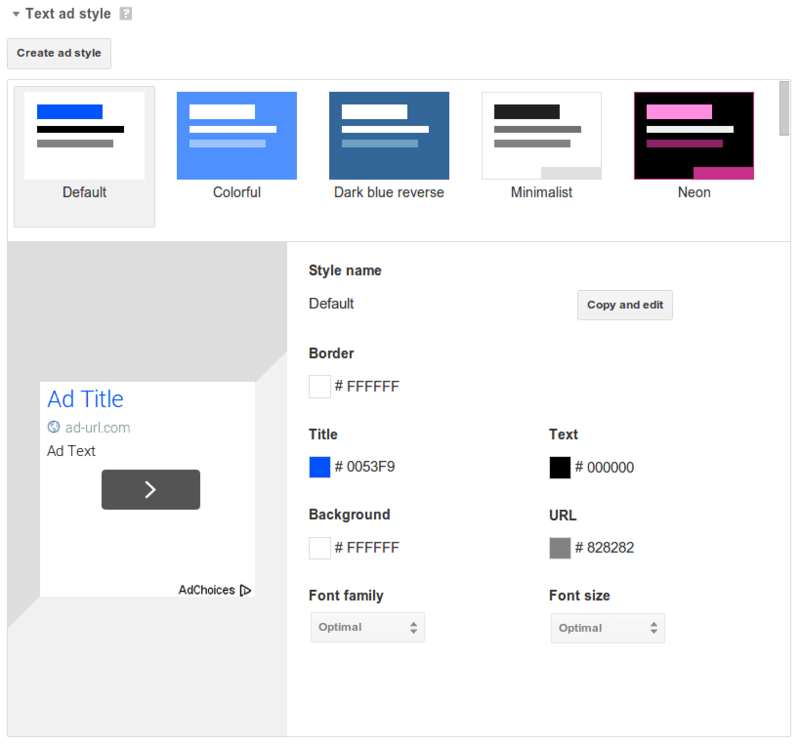 And with the google adsense's experiment option you can experiment with the ad unit type, text styles, blocking ad categories etc. to find out which is actually doing better than the other. Follow the following tutorial to find out how you can do the experiments along with some of the custom experiments I do. Read More: How to experiment with ad units in google adsense. So this is it for now, I will come up with more adsense tips very soon. Let me know how is going on in the comment section and optionally share this post with others so that we all can engage.